Not sure of where to look to find the information you need? 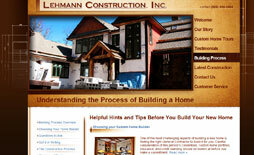 Please use our convenient Site Map below for a list of all website pages for our site. 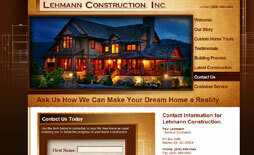 You can also contact us directly with any questions you may have - we are more than happy to help you! 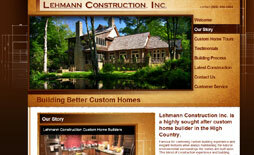 The motto at Lehmann Construction is affordable elegance - high quality dream homes at a reasonable price. 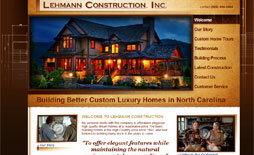 A highly sought after custom home builder in the High Country, Paul Lehmann can build your dream home. 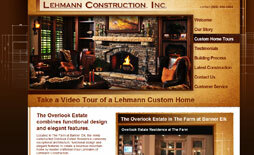 View custom home tour videos and our photo gallery of homes built by Lehmann Construction. 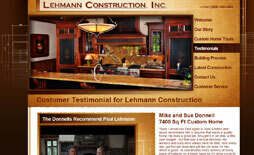 Hear what our former clients turned friends Mike and Sue Donnell have to say about their home. Before you build your new home, read our helpful hints and tips on what to look for and to ask. 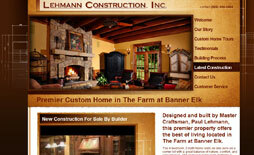 This luxurious property in The Farm at Banner Elk is the latest offering from Lehmann Construction. Please submit your comments and questions and we will get back to you quickly.